Our History – SCL Trinidad Ltd. 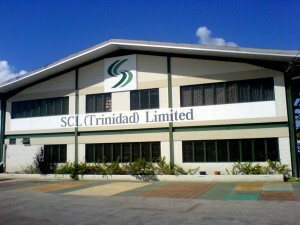 Formed in 1979 to market engineering based products, SCL (Trinidad) Limited has, over the past 36 years earned a reputation as the leading supplier of Concrete Engineering Products for the Caribbean region. With a staff of highly trained and experienced team members, SCL has developed into a streamlined business with an extensive network of distributors who provide on hand inventory, first-class customer service and guaranteed satisfaction. We have become known as the Solution Provider. We are committed to a tradition of providing innovative, quality products and services to meet the needs of the Engineering, Industrial, Janitorial and other key sectors. As part of our ongoing development we are always improving our technology in addition to diversifying our product lines to satisfy the dynamics of market demands. SCL (Trinidad) Limited represents some of the world’s leading companies providing superior products and a wide range of services to its diverse customer base, which include Construction Companies, Oil/Gas Companies, General Contractors, Janitorial Companies and Food/Beverage Manufacturing Plants. Another year of great change for SCL with the opening of our first ever retail store, SCL’s The Solution Store, The Solution Store was designed to act as the nexus between the SCL Group and its ever-growing retail client base. The continued business expansion has ensured an ever-growing product range and not surprisingly, SCL outgrew its facility and constructed a brand new state of the art Production, Distribution and Administrative complex on the Saddle Road in San Juan. SCL continued to explore new opportunities and entered the Lubricant market with a range of premium quality lubes, greases and fuel additives. We once again expanded our operations with the formation of the Industrial Raw Material Division to offer manufacturers and service companies top quality solvents, hydrocarbons and acids. SCL recognized the need for a more aggressive export plan and Caribbean Technologies Limited (CTL) was incorporated in St. Lucia in April 2006. The company was established to manage all international customers by serving as the export division of the SCL Group of companies. Saw the expansion of SCL into Jamaica with the formation of SCL (Jamaica) Limited. The main functions of SCL (Jamaica) are warehousing, distribution and support services with all manufacturing being done in SCL (Trinidad). SCL sought to diversify operations through the establishment of a new Industrial and Janitorial Division to supply quality products, targeting mainly the petro-chemical and related industries, manufacturing plants and janitorial and maintenance companies.